This course is intended for experienced SAS Enterprise Guide users who want to create customized reports and graphs. You learn how to use point-and-click tasks and wizards in SAS Enterprise Guide to generate detail and summary reports. You also learn how to enhance reports by using task options and modifying the generated SAS code. In addition, the course illustrates how to create and customize bar charts, map charts, histograms, box plots, scatter plots, line plots, and bar-line charts using SAS Enterprise Guide tasks and wizards. examine trends with scatter plots and line plots. Before attending this course, you should have completed the SAS® Enterprise Guide® 1: Querying and Reporting course or have equivalent knowledge. 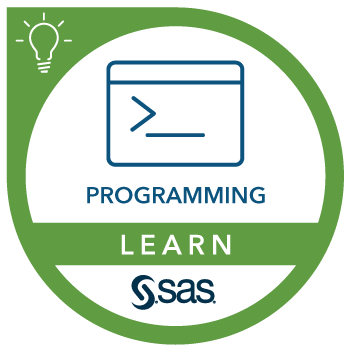 SAS programming experience is not required.